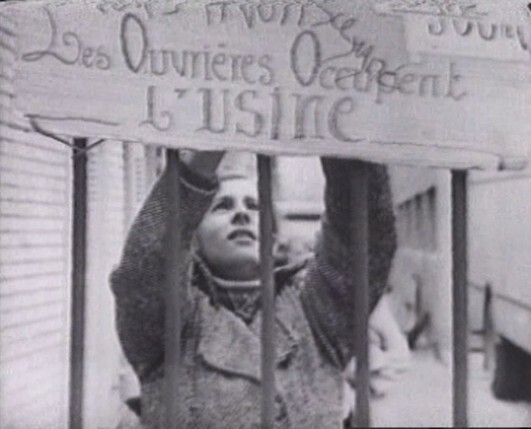 On Tuesday 17 and Wednesday 18 July 2012, The Kitchen will screen feminist videos produced by French militant groups during the 1970s. Organised by Stéphanie Jeanjean and Alaina Claire Feldman, the screenings will be followed by discussion with K8 Hardy, Kate Millet, Georgia Sagri, Martha Wilson and more to be announced. During the early 1970s in France, several activist collectives composed almost entirely of women, such as Video Out, Vidéa and Les Insoumuses, took up the new portable video camera as an immediate and accessible tool to promote feminism, direct democracy, and political action. The two-evening event acknowledges their place, role, and contribution to the histories of video and feminism, while seeking to create new appreciation for their work today. Loosely organized around the themes of protest and satire, the events at The Kitchen will give these videos their English language debut. Screened with subtitles, the videos will be followed by discussions with artists, scholars, and feminists who have been influenced, directly or indirectly, by the practices of these pioneering feminist collectives. Jeanjean and Feldman have worked together to unearth their videos with the intent to merge them into the Western canon of media studies and give them a larger audience. The Afterall journal article on the subject 'Disobedient Video in France in the 1970s: Video Production by Women’s Collectives' by Stéphanie Jeanjean is available to read here. For more information visit The Kitchen website.